This is a version of the Rikke hat (free knitting pattern), knitted flat in super bulky/chunky wool. The directions/pattern below calls for a 60 stitch cast on using a short tail cast on method. I actually cast on 61, by mistake. I didn't realsie until the crown decreases, but as the extra stitch at the end of the row makes a nice even edge for seaming, I just left it and did a K1 at the end of every decrease row. However, I finished this hat with about 20-25cms of yarn to spare. If you do cast on 61 stitches, and your gauge is a bit looser than mine, or if you use a long tail cast on with a long tail, you would definitely need three balls of this particular yarn. Alternatively, after switching to 8mm needles, knit until work measures less than the stated 20cms. 18, or even 17, would be OK. 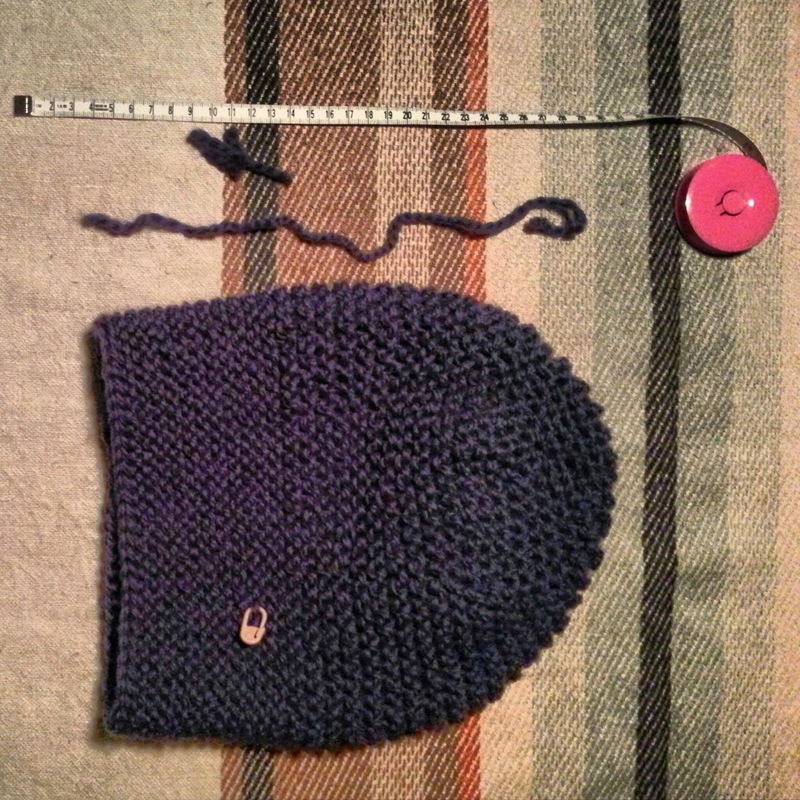 Gauge: 14st/10cms on 6mm needles. Knit every row until work measures 8-9cms. 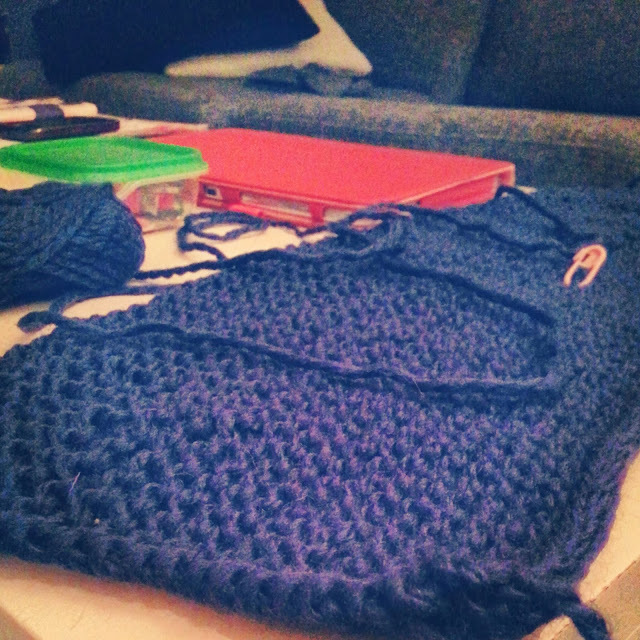 Switch to 8mm needles and knit every row until work measures 20cms. *K8, K2tog. Repeat from* to end of row. Knit the next, and every alternate row. *K7, K2tog. Repeat from* to end of row. *K6, K2tog. Repeat from* to end of row. *K5, K2tog. Repeat from* to end of row. *K4, K2tog. Repeat from* to end of row. *K3, K2tog. Repeat from* to end of row. *K2, K2tog. Repeat from* to end of row. *K1, K2tog. Repeat from* to end of row. *K2tog. Repeat from* to end of row. There should be 9 (10, if starting with 61 stitches) stitches left. Leaving a length of about 25cms, cut the yarn, thread onto a darning needle and through the remaining stitches. Now, sew the seam down to the cast-on edge of the hat.